Hi, vegetarian carnivores! If you can believe it, we are approaching the one-year anniversary of my blog! In January 2018 I decided to start this as a place where we could come together and discuss meat substitutes and vegetarian and plant based nutrition. And one-year later I am proud to see how many posts I have here and the support that you have all given me. So, let me extend a huge thank you to all of you for your comments and questions here. It really keeps me going! 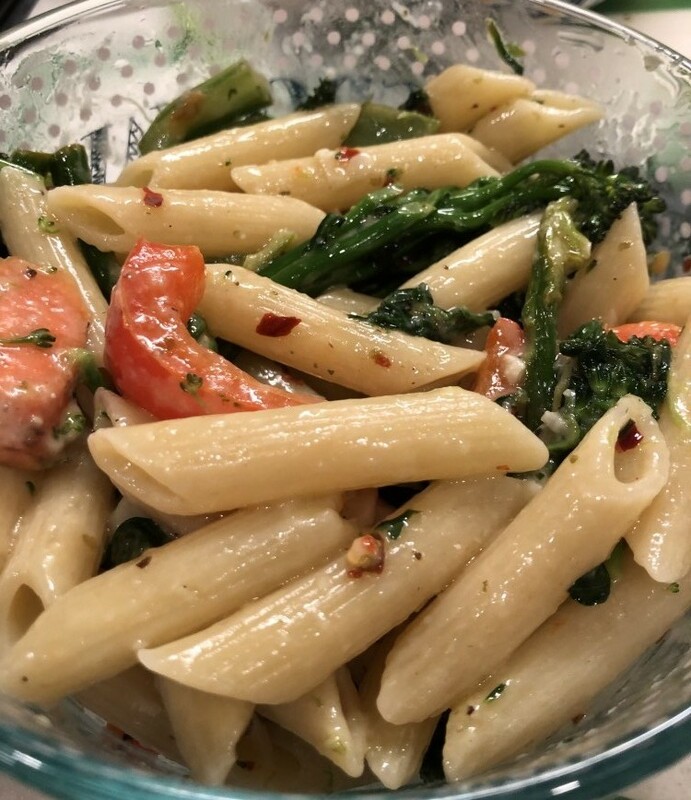 Today, I have a pasta recipe to share with you. Don’t be fooled – this is no ordinary pasta. This decadent truffle cream pasta is both micro nutrient packed and a treat for the eyes. 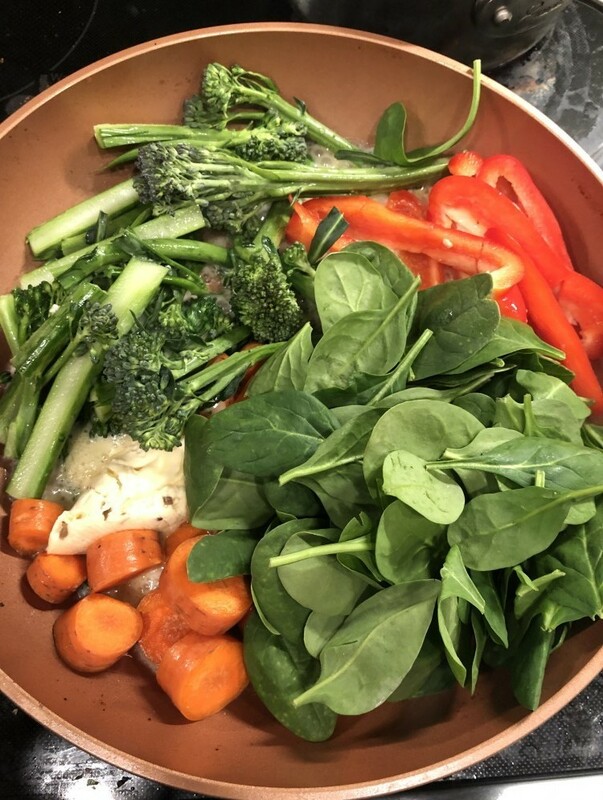 We’ve got some delicious truffle brie, red bell peppers, carrots, spinach, broccolini, and parsley packed in this power meal! We all know we need protein in our diet. In fact, we specifically seek out protein to make sure we are getting enough. And news flash: we are probably getting enough. What we are not likely getting enough are all the miracle micro nutrients that are present in vegetables. 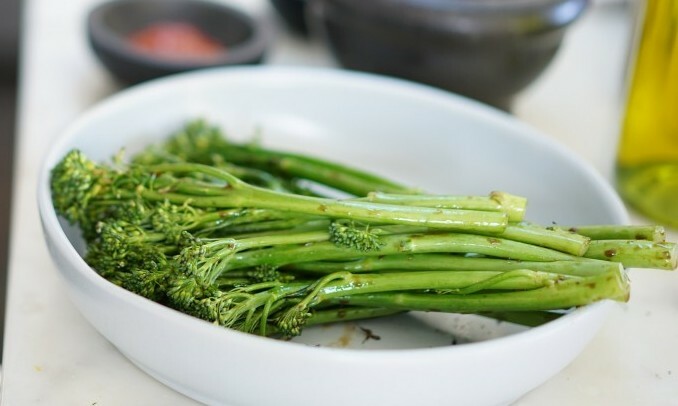 Take broccoli- it is packed with vitamin C (one cup has as much as an orange! ), beta carotene (great for the eyes), and collagen (supports great skin health), just to name the few. And guess what? It is a great low calorie way to get in some protein and filling fiber as well. 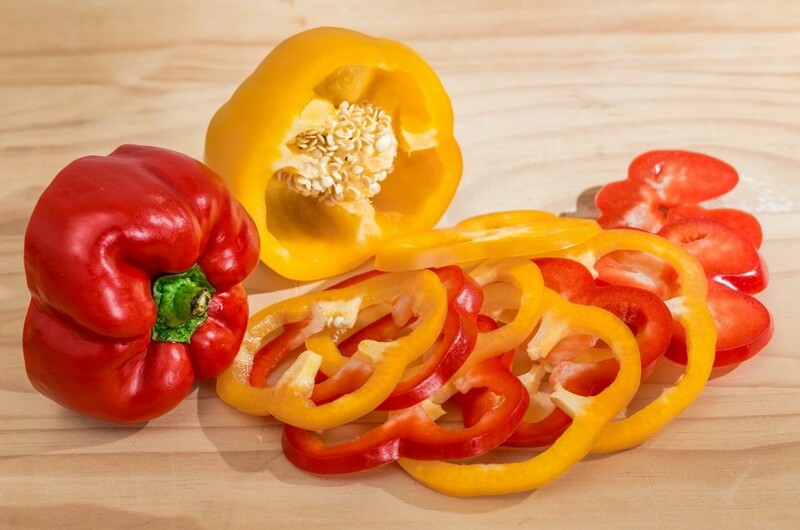 Or take bell peppers- full of antioxidants to fight off free radicals in your body to keep you feeling great. A good rule of thumb that I try to follow as much as possible: get as many naturally colored foods as you can in your day. Take this recipe for example. I’ve got green, red, and orange in just one meal. People shy away from vegetables because they don’t taste that great uncooked. And I completely understand. I don’t like eating raw bell peppers and carrots very much. If I do eat them raw, it is usually as a snack and in a small portion. I cannot imagine eating raw vegetables every day. You have to dress them up! I chose veggies for this dish, that I have known people to shy away from. I never understood why, because I grew up eating all of these wholesome foods prepared in tasty ways. 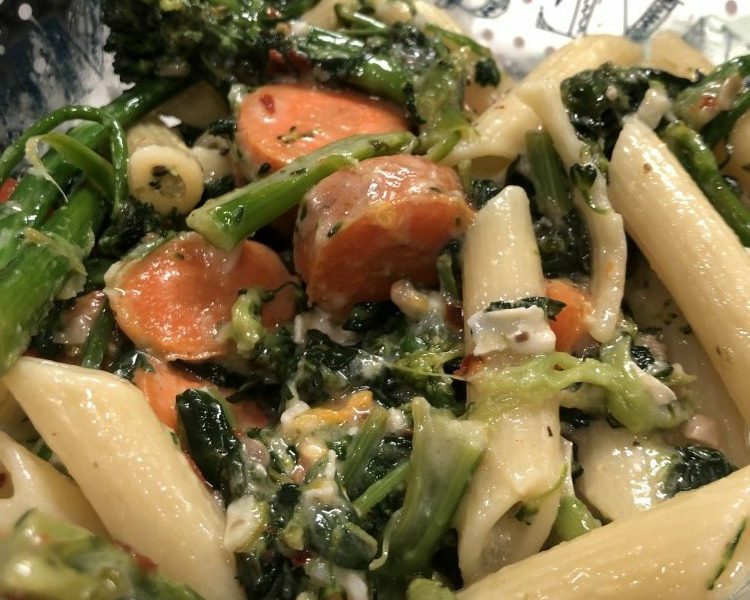 And I hope that veggies will be a little less scary for you after going through this post. I enjoy making and eating mainly vegan meals. But this time I really wanted to work with one of my very favorite types of cheese: brie! And not just any brie either- truffle brie from Trader Joe’s. I really should just be a spokesperson for Trader Joe’s. I like going with simple and homemade sauces for the most part, so I decided to create a simple but flavorful cream base for this dish. 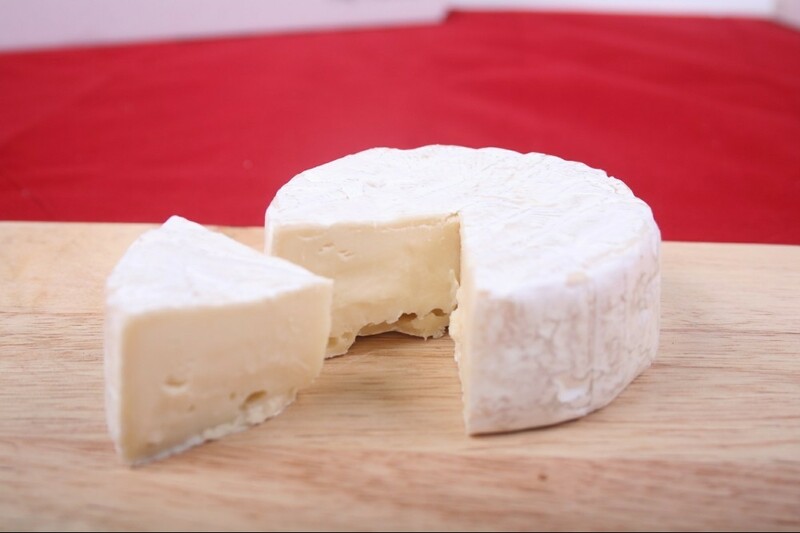 Brie melts really well and remains thick enough to coat the contents of your dish. I like to use the creamy part and omit the white mold area, but if you like that part, you can use it. This recipe is completely meal prep friendly and will happily live in your fridge for 4-5 days. It reheats beautifully in the microwave, which will be evident by the amazing smell at lunchtime. 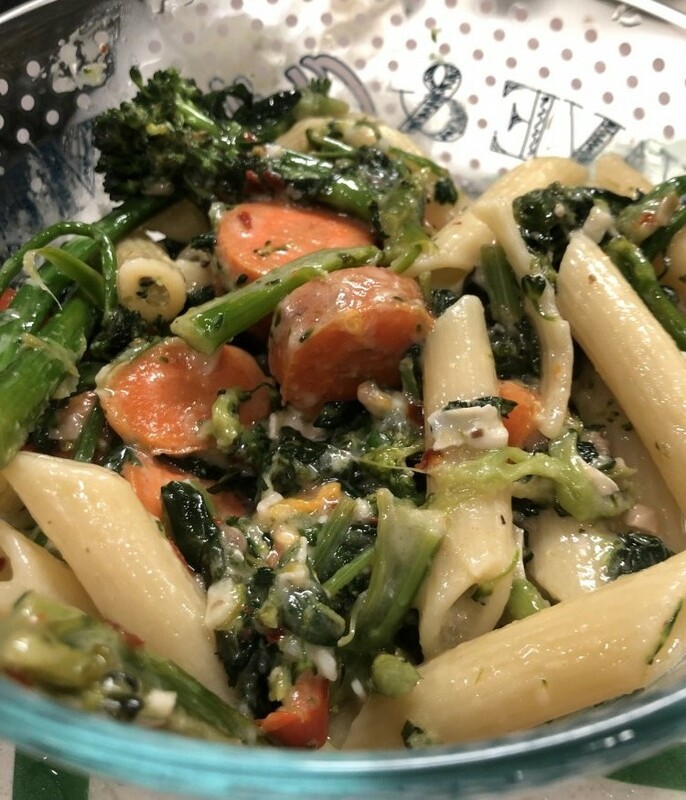 I was apprehensive at first about the quantity I was packing because I thought it would never be enough, but there is quite a lot of fiber and volume packed into this dish, so even though it is pasta, the veggies really occupy a bulk of your stomach. You will stay full for a few hours! So let’s get started! My recipe yields 3 servings, two of which I used for meal prep for the week ahead. In a large saucepan, heat the butter on medium high heat until melted and saute the garlic until fragrant. This will take a minute or two. 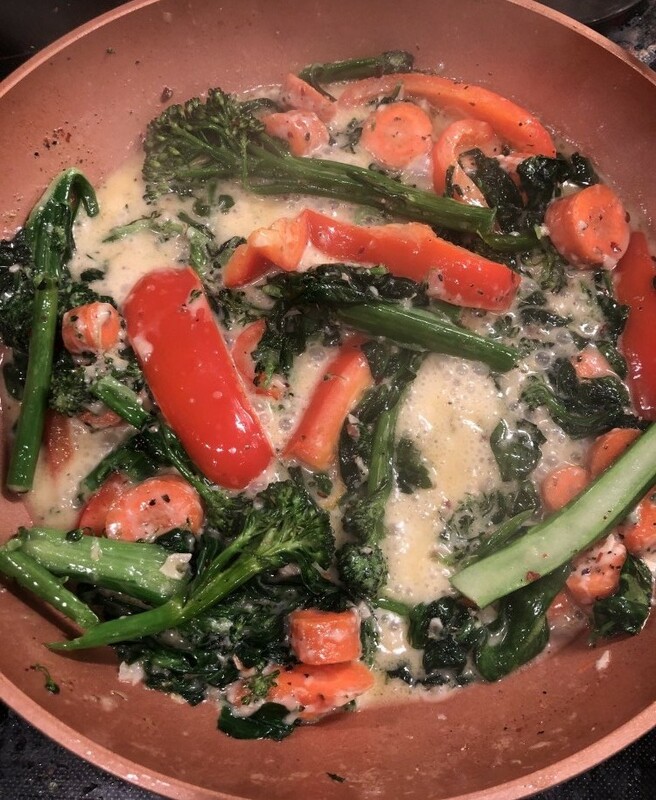 Add the brie, carrots, bell peppers, broccolini, and spinach all at once to the saucepan and mix well. After 5-7 minutes of stirring continuously your veggies will be tender and cooked all the way through. If you mixture seems a little dry, you can add butter slowly until you have reached a desirable consistency. Add in Italian seasoning and red pepper according to taste. Add the parsley and give it a good stir. Take the mixture off the heat and add in the lemon juice and stir. Do not return the pan back to the heat because the lemon juice will turn sour. Add the cooked penne and give the mixture a good stir to coat all the pasta. Serve hot and enjoy! OR store in fridge for up to 5 days and enjoy anytime! 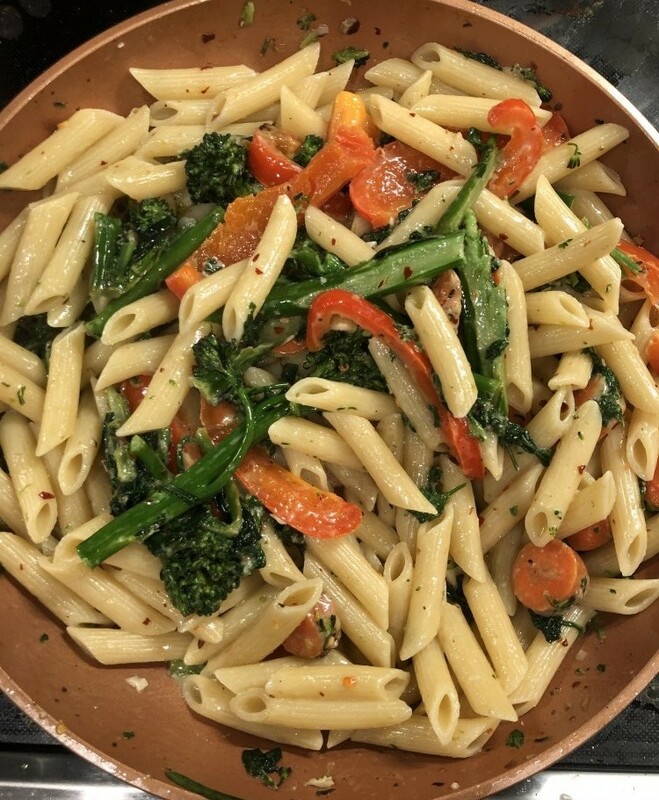 This recipe was a super hit and I will definitely be making it again for meal prep because it keeps well for a relatively long time and it was also really filling. So seriously, stop wasting time and go out and make this! I know you are all going to love it! Leave me some comments telling me how it turned out for you! 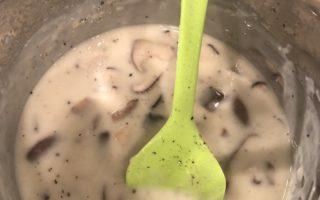 Vegetarian Thanksgiving Gravy – Easy and Tasty! 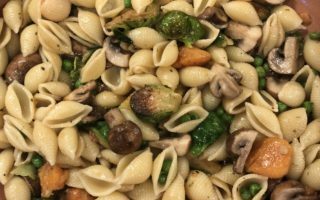 Fall Harvest Pasta – A Rainbow Treat! Extraordinary! 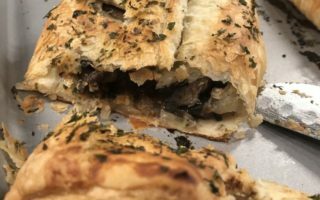 This recipe is truly a feast for the eyes and I can’t wait to try it as the ingredients really convey confidence that it will taste awesome too. I love your tip about making sure to get as many colors in each meal to ensure you get all the different nutrients needed each day. How do you manage to take such superb images of your food? I have learned how to get better at food photography through trial and error and finding the most flattering light. I still have a ways to go, but from where I was a year ago, I have definitely become a lot better! The process laid out in producing this meal seems pretty easy to follow and it does look yummy and definitely looks like what was prepared in a fancy restaurant. I am going to have to give this a try. Indeed the pictures are really enticing and tempting to find out how great it would taste although I’m not a Vegetarian. It seems to have all that nutrients that one needs in a meal and I think that’s very good. I have a Vegetarian friend who might be interested in this recipe you’ve outlined here. So, I guess when he prepares it, I can take a bite to see how great it tastes. Thanks for taking your time to provide such great information. Hope to read more from your blog. I’m getting interested Vegies. Vegan Pho Recipe – Everything from Scratch! 2019 Copyright The Vegetarian Carnivore. Blossom Feminine by Blossom Themes. Powered by WordPress .